It’s that time of year again, and time for a rundown on what’s new in Revit 2020 by Autodesk. This article will only review the new features in Revit 2020, but keep in mind there have been several mid-year updates since my previous article, such as zooming in schedules. After reading this article, current Revit users should have a solid understanding of the new and enhanced features in this release. Here are most of the noteworthy features, not in any particular order. Revit now supports importing PDF files! The functionality is very similar to importing an image; they even share the same Mange Images dialog. A PDF can be imported from BIM 360 via Desktop Connector. During the PDF import process, you have the opportunity to select a specific sheet (for multi-page PDFs) as well as the resolution. Also, notice the page size is listed in the lower right. The difference between 72 DPI and 600 DPI is very much noticeable, as seen in the following example. Here is an example, showing the PDF positioned next to the original view in Revit. In this plan view, the PDF came in at the correct scale. As you will see in a moment, the scale can be manually changed. When a PDF is selected, its Horizontal and Vertical Scale can be changed. A significant aspect of this new support for PDFs is the Enable Snaps option, for each instance, found in Properties and on the Ribbon. It is possible to snap to linework in the PDF to assist with model creation, when using vector-based PDFs. Here are two examples of how the PDF linework might be utilized: while using the Wall tool we are able to snap to the endpoint of a line from the PDF, and/or use the pick lines option. Related to the under-the-hood tweaks for PDFs, we also get the opportunity to adjust the Horizontal and Vertical Scale of a selected image. In the past, these were read only values. FYI: This is an Enscape-rendered image of the residence BIM a reader creates while working though my Revit textbook, Residential Design using Autodesk Revit 2020, from SDC Publications. Another completely new feature is the Path of Travel tool. Use this to check how a person will move from point A to point B through your design. Certain Revit categories may be excluded such as Doors. Each Path of Travel element can be scheduled, including time and length, but speed is not adjustable. There are some limitations on how this might be used for certain code compliance documentation, and the path is not editable, but this is a great V1 feature set that I suspect will evolve nicely. The Path of Travel tool is found on the Analyze tab. During creating, you may enable tagging and select a Line Style. And, later, when one of these new elements is selected, the Line Style may be changed and the path updated. Note that this element type is not dynamic … you need to select it and click Update to properly react to any changes to the BIM. This tool is mostly a 2D tool, and thus does not interact vertically with stairs or ramps. It does have a bottom height tolerance, so it can traverse a door threshold but not a low wall, for example. Per the following image, simply click the two points identified and the path is generated. Here is an example of the Path of Travel element’s Instance Properties and the Route Analysis Settings dialog (seems like this should have been called the ‘Path of Travel Settings’ dialog). Those involved in energy modeling can now control glazing properties to a very fine level of detail for both curtainwall Glazing Panels and Windows families. When the new Define Thermal Properties parameter is set to User Defined, a custom value may be entered for Visual Light Transmittance, Solar Heat Gain Coefficient, and Heat Transfer Coefficient. For the Revit Energy Analysis Model (EAM) to pick this information up, Use Detailed Items must be selected in the Energy Settings dialog. Revit add-ins such as FenestraPro and ElumTools should also be able to leverage this information. TIP: Related to this topic, be sure to check out my new course on Energy Analysis for Architects using Autodesk Revit and Insight on the ArchSmarter site. Many Revit users have not been aware, but prior to Revit 2020 it was not possible to draw an accurate ellipse-shaped wall (only elliptical Model and Detail lines were possible). This functionality has now been added as seen in the images below. Openings work as expected and centermarks can be toggled on and off via instance properties. Notice that elliptical walls only have a Centerline option for Location Line. Now, when it is needed, this new wall option will be there and ready to use. Enhancement Another welcomed enhancement is with View filters. The already newer 'OR' filter can now use parameter for specific categories, if more than one category is selected. Previously, only parameters common to all selected categories could be used in a view's 'OR' filter definition. Now we just need this for schedules as well! We no longer must save a SketchUp model back to version 8, as Revit 2020 now supports the SketchUp 2018 file format. In addition to this newer format support, the materials created in Revit are much more sensible as shown below, comparing Revit 2019 with Revit 2020. Unfortunate, the Appearance asset’s color still does not match the Graphics shade color, which still defaults to 80. 80, 80 RGB. Imported SKP, SAT and 3DM files also have a custom material Class assigned to make sorting them much easier. It is now possible to schedule the Scope Box setting for a view. That value can even be changed in the schedule, helping to simplify QA/QC of Revit project standards. Legends can now be Copy/Pasted between sheets. Using Paste Aligned to Current View will drop it in the same relative location. Unfortunately, this does not resolve the limitation of being able to insert a sheet full of details (drafting views) if that sheet contains a legend. Here’s a small change to the Revit titlebar: the Communication Center and Favorites icons have been removed and the Search Box is in the closed position by default. The Materials Dialog received a little attention as well this year. The goal here was to make the standard/custom material libraries section more discoverable. In this first image comparison, notice that the toggle to access the closed (or hidden) libraries pane was at the top of the in-project materials list. Now, in Revit 2020, this has been moved to the bottom and the words “Material Libraries” added. This next image shows the Material Libraries section open, and the corresponding UI change. Perhaps the best part, given the advent of advanced materials and 4k textures, is the larger 256x256 preview size in the Material Browser. This version of Revit also ships with several new advanced materials. Using high definition textures and bump maps makes a world of different in architectural visualizations. If this topic interests you, be sure to check out my Enscape blog post: HOW TO GIVE YOUR ARCHITECTURAL PROJECT A REALITY BOOST. For MEP designers, when connecting one electrical panelboard to another, it is now possible to connect it as a feed thru lug and not take up a breaker in the upstream panelboard; notice the new drop-down option on the Ribbon in the image below. In this example, when the Breaker option is selected, which is the default (and only option prior to Revit 2020,) you can see Panel B occupies a breaker location on Panel A. Also, notice that the Panel B breaker numbers start over at #1. These are both certainly valid in some cases, but not all. In this next example, Panel B does not occupy a breaker on Panel A, but the load is still accounted for in a separate line item (this is customizable). Additionally, the downstream breakers can be numbered sequentially as shown here, rather than starting over at #1 for each panel. When using the new feed through lug option, it is possible to apply a different panel temple to change the information presented in the panelboard view. When enabling Feed Through Lugs on a panelboard, Revit presents this message as well. Revit 2020 now closes the gap on the ability to specify the Top/Bottom Elevations for MEP elements. The few remaining items now have these parameters, specifically Pipes and Cable Trays as shown here. Revit now offers the opportunity to tag the elevation from level for a face-based family. This value can even be tagged and used in View Filters as shown below! This applies to MEP devices and generic model categories. Also resolved with this enhancement is an issue I wrote about on my blog, BIM Chapters: Warning - Face Based Content Moves Vertically in Revit. Here is an example of the newly built-in Elevation from Level parameter in a tag family’s Edit Label dialog. And in the creation/definition of a Filter. The example below shows the new tag applied to two electrical devices, and a filter (from the previous example) applied to the view. Another electrical-focused improvement can be found in Revit’s Wire tool. There is much more control over when and where arrows and tick marks appear on wires. It is also possible to control the lineweight of the arrows apart from the wires. Also, it is now possible to omit the extra arrowhead(s) on multi-circuit connections. This release of Revit has a lot of great new features and enhancements that are sure to make many customers happy. If there are things you were hoping would have made it into this release, be sure to head over to Revit Ideas and make sure it is listed and you have voted for it. Also, be sure to keep an eye on my blog, BIM Chapters, as I continue to write about these new features in more detail. Daniel John Stine AIA, CSI, CDT, is a registered architect with over twenty years of experience in the field of architecture. He is the BIM Administrator at LHB, a 250-person full service design firm. In addition to providing training and support for four offices, Dan implemented BIM-based lighting analysis using ElumTools, early energy modeling using Autodesk Insight, virtual reality (VR) using the HTC Vive/Oculus Rift along with Fuzor & Enscape, Augmented Reality (AR) using the Microsoft Hololens, and the Electrical Productivity Pack for Revit (sold by CTC Express Tools). Dell, the world-renowned computer company, created a video highlighting his implementation of VR at LHB. Dan has presented internationally on Architecture and BIM in the USA, Canada, Ireland, Denmark, Slovenia, Australia and Singapore, at the following conferences: Autodesk University, RTC/BILT, Midwest University, AUGI CAD Camp, NVIDIA GPU Technology Conference, Lightfair, and AIA-MN Convention. By invitation, he spent a week at Autodesk's largest R&D facility in Shanghai, China, to beta test Revit features. Committed to furthering the design profession, Dan teaches graduate architecture students at North Dakota State University (NDSU) and has lectured for interior design programs at NDSU, Northern Iowa State, and University of Minnesota, as well as Dunwoody's new School of Architecture in Minneapolis. As an adjunct instructor, Dan previously taught AutoCAD and Revit for twelve years at Lake Superior College. Dan is a member of the American Institute of Architects (AIA), Construction Specifications Institute (CSI), and Autodesk Developer Network (ADN), and is a Construction Document Technician (issued by CSI). 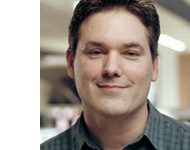 He has presented live webinars for ElumTools, ArchVision, Revizto and NVIDIA. Improvements include expanding the capabilities of FormIt and Dynamo, extending the scope and scale of Revit especially for fabrication and construction, enhancing the point cloud capabilities across all of Autodesk's modeling products, tighter integration with Autodesk cloud services, and improved analysis and simulation. This tutorial by Dan Stine looks at the main updates that are likely to affect everyday work in the just-released 2015 version of Revit, including a change related to the Revit user name and some view-related changes including Sketchy Lines, Anti-aliasing, Revit Hidden Lines control, and Revision clouds and tags.